Emmy believed she was one of a kind, that there was no one else in the world quite like her. Then magical strangers arrived in Harrow County and she discovered just how wrong she was. Are these bizarre beings--each possessing strange and ghastly supernatural abilities--her family, or her foes? 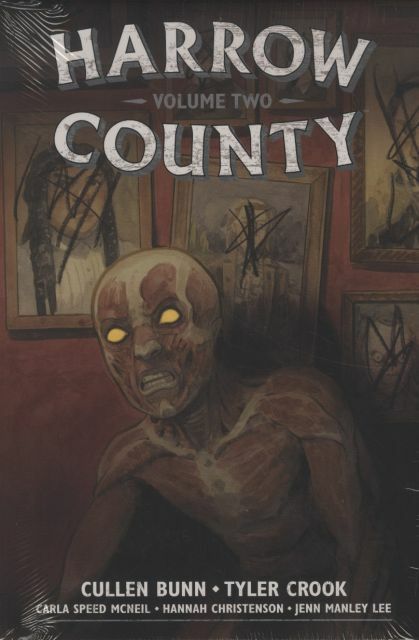 Collects volumes three and four of Harrow County in a deluxe, hardcover, and oversized format with a new cover, sketchbook material, essays, ''Tales from Harrow County'' bonus stories by guest creators, and more!